Everyone wants to keep a clean home at all times. However, achieving the desired results while maintaining an environmentally-friendly approach can be quite a struggle. One usually depends on machine-powered cleaning tools and detergents to clean thoroughly, but these might also include toxic, harmful chemicals. Cleaning isn’t enough, according to founder Judy Lorenzo. “We need to realize that sanitation should also be included to achieve hygienic cleanliness,” Judy stresses. 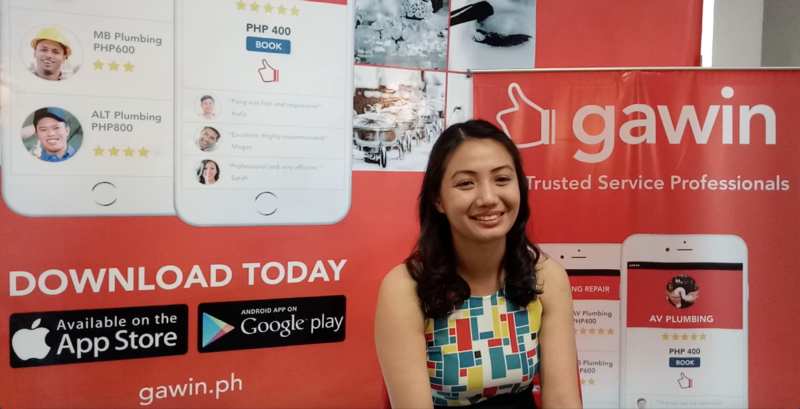 In their mission to make household and offices clean and bacteria-free, Gawin.ph – an online service marketplace that provides faster and more dependable ways to hire services people need – allows her to reach more customers. Gawin: Hi Judy! What’s the story behind your business? As an aspiring entrepreneur, I have been trying to come up with a different concept that can capture a promising market. With the rising popularity of condo living and construction industry, I began to research what could be the missing link. Since cleaning was not enough, we tapped into other services and worked on improving our own. We found sanitation to be essential in achieving hygienic cleanliness in our homes / offices while avoiding the use of toxic chemicals but didn’t know how to render those services. When I found a machine using only water and heat technology to produce steam to deep clean and sanitize, I started out. How does your business differ from other cleaning services? When you think “thorough clean”, that’s us. From the quality of doing the basic cleaning and using our dry steam technology, everything gets thorough cleaned. All my staff have the presence of mind and heart with regards to every job assigned to them. Aside from our unique process – cleaning, sanitation, and germ-proof coating – we endeavor to foster passionate and professional sanitation specialists who give high value integrity in the service industry. It is important that we enhance and discipline our people well to make sure we deliver the best quality of work. How has Gawin helped your business? When I joined Gawin.ph in January 2016, we saw a huge increase in our revenue. 90% of our booked customers were from the Gawin.ph platform. It’s very reliable! I’m very thankful for having this platform as the gateway to reach amazing customers. The Gawin.ph staff have provide extensive support, not only with the customers but with the service providers, as well. Likewise, they ensure that we’re satisfied, and our concerns are addressed immediately. Woah! I’m really loving the template/theme of this blog. It’s simple, yet effective. A lot of times it’s challenging to get that “perfect balance” between usability and visual appeal. I must say you’ve done a fantastic job with this. Additionally, the blog loads extremely fast for me on Chrome. Superb Blog!